Or as low as $241.66 per month over 6 months. Apply Now. The JL Audio 8W1v3-4 is an outstanding choice when your build provides space that is very tight and amplifier power that is respectably moderate. The driver features a shallow mounting depth (3.86 in. / 98 mm) and a compact motor structure, allowing it to comfortably fit in a lot of spaces where a typical 8-inch driver will not. Lacking a pole vent, the rear of the motor structure can be placed directly against an enclosure boundary. In addition, excellent excursion capability and linearity allow it to reproduce sub-bass with striking extension and quality. Several of JL Audio’s proprietary technologies enhance its performance and reliability. 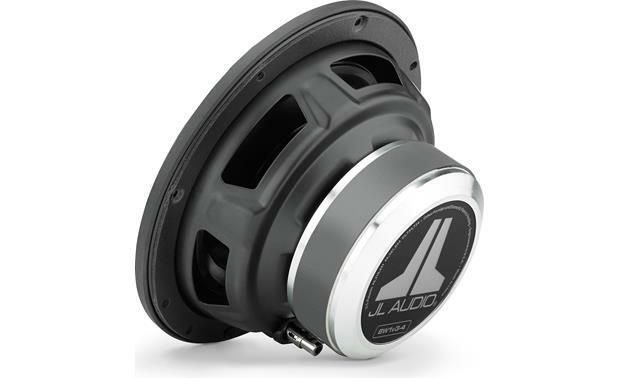 This includes JL Audio’s patented DMA, Elevated Frame-Cooling and Floating Cone Attach Method technologies. When we think of subwoofers, we typically think of big speakers in large enclosures driven by high-wattage amplifiers. But sometimes you need bass in a smaller, more modest version. That’s why JL Audio has created the 8W1v3-4 subwoofer, which fits in spaces where most subwoofers fear to tread. 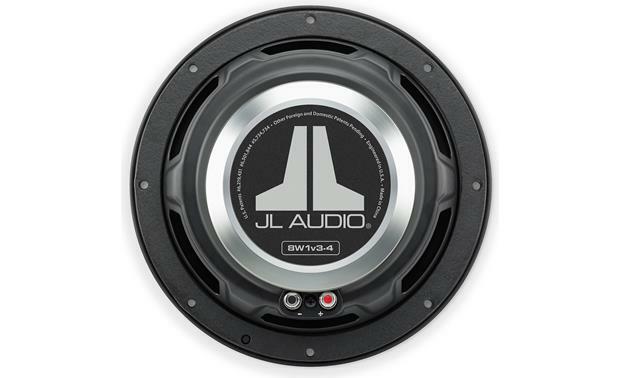 This affordable 8″ subwoofer incorporates patented features developed by JL Audio for their legendary W7 subs. Special venting keeps the sub running cool for trouble-free performance, while extensive research in cone bonding and motor assembly construction keeps its cone movement linear for precise, dependable output. The cone interlocks with the dust cap for superior rigidity, and a sophisticated suspension system keeps internal parts aligned properly when you’re jamming hard. 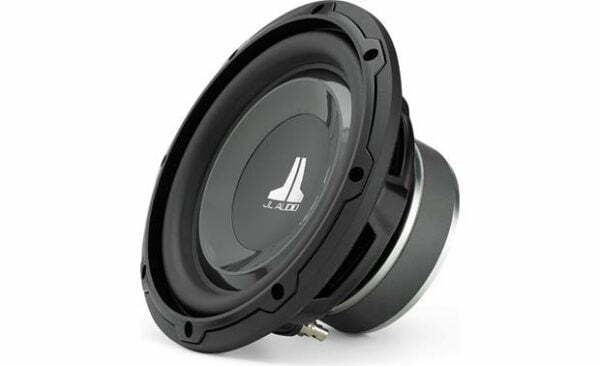 The low-profile 8W1v3-4 sub works best in compact enclosures, so you can put quality bass in smaller and hard-to-fit vehicles. Its shallow mounting depth of 3-7/8″ allows it to live in compact environments, and it’s been optimized to fit an enclosure with a volume of only 0.35 cubic feet. The sub features a mica-filled polypropylene cone and an aluminum dust cap with an embossed JL Audio logo for a look that stands out as much as the sound. The removable, customizable trim ring lets you put a personal touch on your system, and makes optional grille installation a snap. This punchy W1v3 sub works well with moderate power, delivering impressive performance without costing a fortune. JL Audio 1 year parts and labour.